Sergio Scaglietti, who used intuitive genius and a hammer — seldom blueprints or sketches — to sculpture elegant Ferraris that won Grand Prix races in the 1950s and ’60s and now sell for millions of dollars, died on Nov. 20, 2011 at his home in Modena, Italy. He was 91. At the PVGG Cortile 2012 his designs are honored as the 2012 Proiettore Macchina. Sergio Scaglietti (1920-2011) of Modena began his career in the automotive industry at age 13. His father had suddenly passed away, so Sergio’s older brother lied about Sergio’s age to get him a job at the carrozzeria that employed him. Sergio, who enjoyed working with his hands, became a quick study. When Sergio was 17, his older brother and another employee formed their own coachbuilding company and took young Sergio with them. They set up shop in downtown Modena across the street from Enzo Ferrari’s Scuderia Ferrari, and in a short time they were repairing the Scuderia’s cars. Mr. Scaglietti (pronounced skahl-YET-tee — the “g” is silent) lacked the kind of formal education acquired by his patron and best friend, Enzo Ferrari, the race driver-turned-automotive-impresario. Both believed in speed, power, utility, superb craftsmanship and sleek, sensuous beauty, and they abhorred mass production. By craft Mr. Scaglietti was a “coachbuilder,” but others use loftier descriptions. By 1954, Scaglietti was a sanctioned Ferrari coachbuilder who received a number of chassis directly from the factory for coachwork. He designed all his shapes “by the eyes alone,” he said, letting his own “good taste, understanding of aerodynamics, style, and function” dictate his designs. Ferraris, with their hair-raising acceleration and sleek lines, bespoke postwar modernity in the manner of the Color Field paintings of Barnett Newman and Mark Rothko or the architecture of Eero Saarinen. Mr. Scaglietti in the 1950s designed the blood-red skin of the 375MM sports car, picture above, that the film director Roberto Rossellini, the master of neorealist cinema, gave to his wife, Ingrid Bergman. Before long, the Ferraris emanating from the shop would be ranked among the most beautiful and memorable competition cars ever made. The honor roll included such top-flight sports-racing cars as the 500 Mondial and 500 TR and TRC, the classic pontoon-fender 250 Testa Rossa, the winning 290 MM, 315 and 335 S, and the immortal 250 GTO. In the late 1950s, with Enzo Ferrari setting him up with the banker and cosigning the loan, Scaglietti greatly expanded his enterprise. 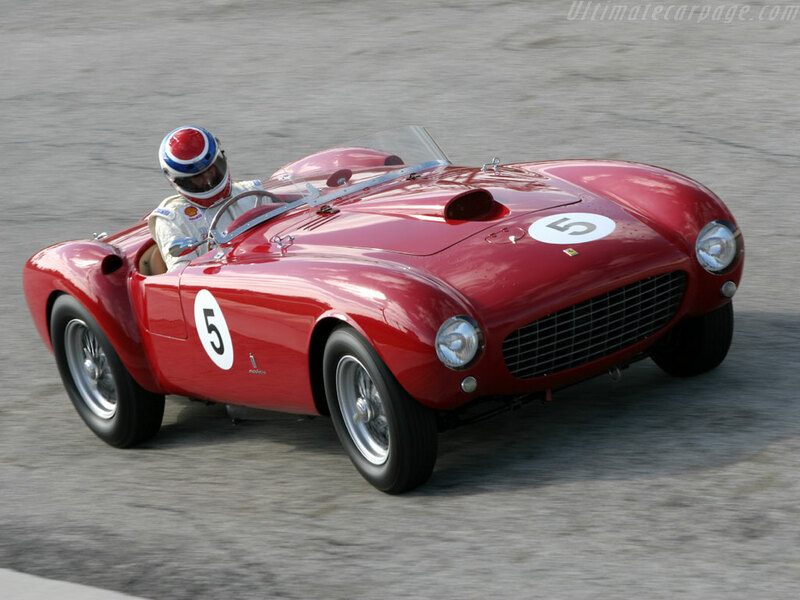 He began building numerous street Ferraris to designs by Pinin Farina. His business prospered, and Scaglietti enjoyed the rewards and prosperity the expansion brought him. In the late 1960s, however, with labor troubles a constant, Scaglietti leapt at the opportunity to join Ferrari in a sale of his business to Fiat. Scaglietti continued to manage the carrozzeria until his retirement in the mid 1980s. Ferrari’s 612 Scaglietti model, and the Carrozzeria Scaglietti customization program, were named after the humble artisan. He drew broad praise for the pontoon fenders on the 250 Testa Rossa, of which 34 were built from 1956 to 1961. The fenders’ design allowed cool air to flow into the brake area to prevent overheating. On a visit to Allentown, Pa., in 2000, Mr. Scaglietti told the newspaper The Morning Call that the Testa Rossa got its name almost by accident. “The chief of production came to Mr. Ferrari and said, ‘We have to stop production because we have no black paint to paint the engines,’ ” he said.